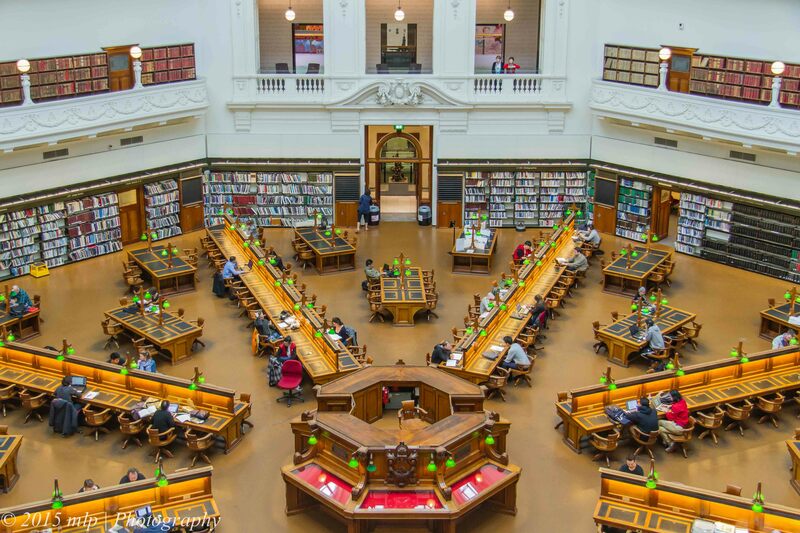 The State Library reading room has to be one of the best spots in the CBD to sit and study. It is also a good place to photograph from one of the many nooks on the several floors above the main room. 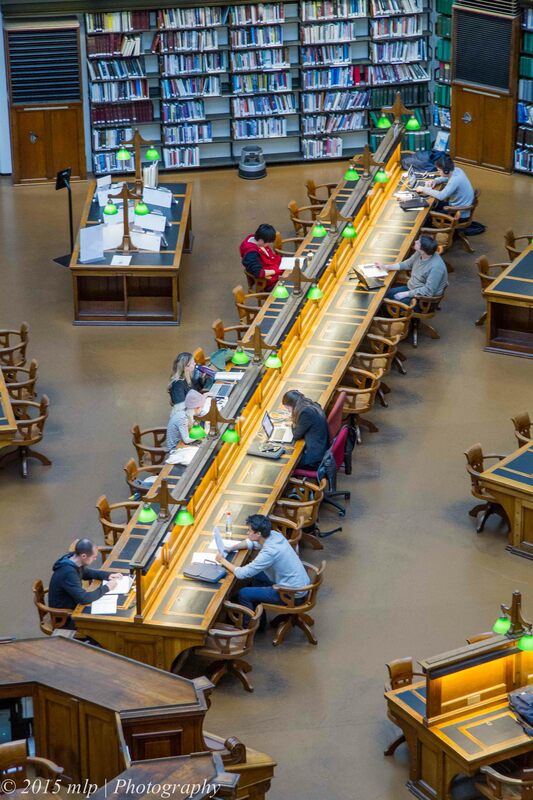 I have been here a number of times to view the galleries, the art, and to watch people study. 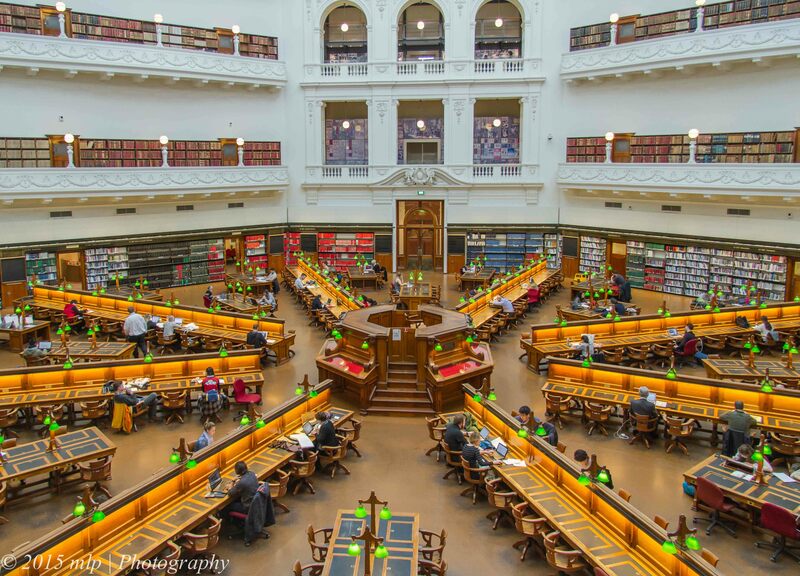 This entry was posted in Architecture, Melbourne CBD, Victoria and tagged Australia, Melbourne CBD, Photography, State Library of Victoria, Victoria. Bookmark the permalink.